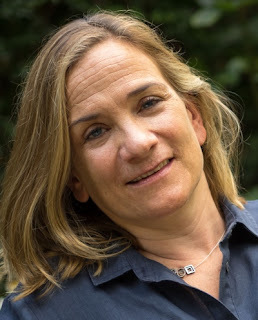 Tracy Chevalier is the author of the new novel New Boy, a retelling of Othello set in a sixth-grade class in the Washington, D.C., suburbs in the 1970s. 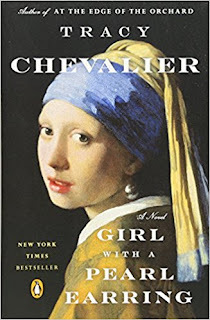 Her other novels include Girl with a Pearl Earring and At the Edge of the Orchard. She grew up in the D.C. area and lives in London. Q: You've mentioned your own experience as an outsider--how did that play into your depiction of your character Osei and the themes you explore in New Boy? I have lived in London for over 30 years but still sound very American, and often feel as if I’m standing on the sidelines watching the game rather than taking part in it. 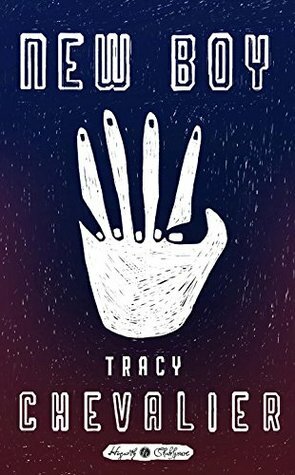 Q: Why did you decide to set your retelling among sixth graders in suburban Washington, D.C., in the 1970s? A: I thought the enclosed society of a school playground would have the right intensity for the story. I grew up in an integrated neighborhood in Washington and happened to go to a school that was mostly black, so I had a bit of experience of having different skin color from those around me. I liked the idea of setting it when I was 11, in 1974. At 11 you are the oldest on the playground (used to be, anyway, before the creation of middle schools), and you rule it, with adults having less and less say in your world. At the same time, you are not quite a teenager, so you may start imitating adult behavior without really understanding it. The book is set over one day, and Osei (my Othello) and Dee (Desdemona) have to get together and split up very quickly, torn apart by the actions of Ian (Iago), the school bully. But that’s exactly what happens with kids – it’s fast and intense, and then it’s over. Q: What parts of the original Othello did you think were especially important to retain in your novel, and what did you feel you could change? A: Othello is about two things, I think: society’s treatment of people different from themselves, and jealousy. The jealousy part kind of takes over most productions, so that it becomes Iago’s play as he leads Othello into a jealous rage. I decided that rather than it focusing on Othello and Iago, I would have New Boy be more about the whole community of the playground and how they respond to Osei – both the casual racism of white kids toward the only black person they know, and also the suspicion and cruelty taken out on a new student. I also felt that the female characters in Othello (Desdemona and her servant Emilia) are woefully underwritten, so I knew I would give them much more to say and do in New Boy. Q: What do you think your book, and Othello, say about the issue of racism? A: I wanted to explore where racism comes from. In New Boy, kids learn it from the adults around them – their parents and teachers. I would hope that now adults are a little more aware of and sensitive to such racist attitudes. A: I am now writing a novel set in Winchester Cathedral (an hour south of London) in the 1930s. In the choir stalls are embroidered cushions and kneelers made by a group of volunteers, mostly women. It features embroidery, bellringing, cathedral life, and the petty politics of volunteer groups, with hints of German fascism thrown into the mix. --Interview with Deborah Kalb. 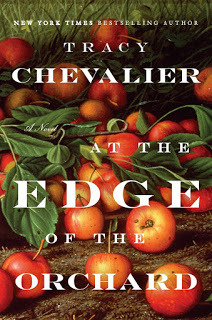 For a previous Q&A with Tracy Chevalier, please click here.